IAQ Consultants have a range of instrumentation and monitoring devices available for rental and purchase. Please see the drop-down menu for further product details. Contact us for further discussion of your needs. IAQ represent Fourier Systems Products in Singapore and Malaysia for Humidity and Temperature Data Loggers. Please browse through our website and should you have any interest in our product range, please call us at +65 6245 0109 or email us your enquiry at *protected email*. Combining innovation with simplicity, the high accuracy MicroLite USB data logger is a vital tool for monitoring and recording a variety of data. 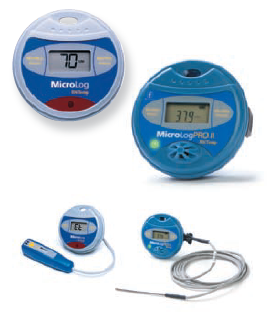 The MicroLite is available in 6 models, offering a unique plug and record data logger for every application and helping organizations maintain the highest standards throughout the cold chain. Real-time sensor readings with corresponding time stamp are clearly displayed on the logger’s LCD screen, incorporating alarm thresholds. The logger is designed for low power consumption to extend battery life and reduce the time between battery replacements. 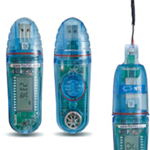 The MicroLite product line measures temperature, humidity, voltage and current via internal + external inputs. Delivering ultimate application accessibility, the MicroLite is an ideal solution for a variety of industrial cold chain logistics, requiring a small form factor USB data logger. 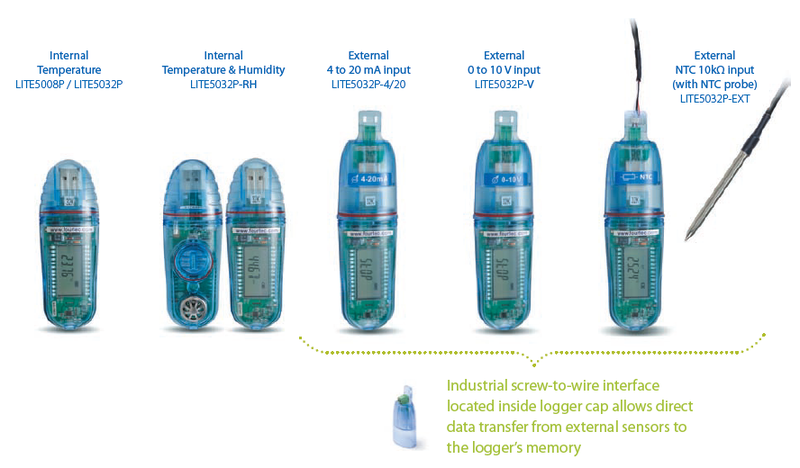 The MicroLog solution offers two low-cost portable data loggers for supply chain monitoring, featuring internal temperature and humidity inputs and an external input for connection to MicroLog’s temperature, current, voltage and pH sensors. Effective cold chain processes require control over the quality of perishable goods and compliance with the highest industry standards. 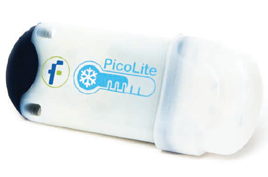 The compact and easy-to-use disposable PicoLite USB data logger provides a simple solution for temperature monitoring, throughout mass transportation cold chain processes. Featuring a built-in temperature sensor, activation button, bi-color LED and direct USB connectivity, the PicoLite offers a plug and record solution for every application. The PicoLite is configured by fourtec’s intuitive DataSuite software, offering comprehensive data analysis features and alarm notifications. By reducing overhead related to more complex multi-trip loggers, the PicoLite meets the challenge of combining low cost with reliability for one-trip, value-for-money data logging. The DaqLink, USB stand-alone data logger offers high functionality in a simple package. With built-in temperature and humidity sensors, plus four external probe inputs DaqLink ensures a low cost, reliable and accurate solution. For continuous indoor or outdoor data monitoring, DaqLink data logger is the tool of choice. DataNet is an essential hardware and software solution that can empower any organization to monitor their environment using the ZigBee wireless network. The DataNet comprehensive real-time data logging solution is directed by event-driven security policies. DataNet delivers a truly worthy data logging solution by leveraging the power of ZigBee wireless, 2.4 GHz telemetry protocol. Supporting up to 65,000 units per network, with fast, cable-free installation for instant setup. The DataNet solution comprises a range of loggers measuring a variety of inputs, including internal temperature and humidity sensors. From 5-6 input models down to the more cost-effective single or dual input Mini DataNet models, we offer a comprehensive solution for every application. The DataNet multi-unit data acquisition solution is geared towards 24/7 real-time data logging for mission critical organizations. The DataNet’s comprehensive online solution is directed by event-driven security policies. Logging units function in a wireless mesh network configuration, allowing for 65,000 units in each network. This enables real-time monitoring of multiple test points in a single operation. The DataNet product family supports onboard temperature and humidity sensors, as well as the following industry standard inputs: 4 external channels for 4 to 20 mA, 0 to 50 mV, 0 to 1 V,PT-100, Thermocouple, Contact, Pulse Counter and Frequency. DNR900 Receiver/Repeater – the heart of the system controls and collects the data from the end units. Also suitable for extending the system range. DNR800 Mini Repeater –cost-effective unit for extending the system range. DNL804-BXT, DNL808-BXT, DNL810-BXT – cost-effective loggers supporting up to two inputs, measuring temperature, humidity and current (4-20 mA). Includes up to four AA 3.6 V for 3-year battery life. An eight-channel all-in-one data logging solution, with graphic displays and built-in analysis functions for full portability. The DaqPRO™ is a portable, battery operated data acquisition and logging system offering 16-bits, high-resolution, 8 channel data logging. The DaqPRO™ features powerful graphical display and analysis functions for measuring voltage, current and temperature. It is designed to provide a professional, compact, stand-alone low cost data logging system for a wide variety of applications. DaqPRO™ is battery operated and is capable of sampling, processing and displaying measurements without connecting to a computer. Designed to serve the needs of professional data loggers, DaqPRO™ is a professional, cost-effective, compact and stand-alone data logging system that can be used with a wide variety of applications. This 16-bit, high-resolution, eight-channel data logger offers the pros graphic displays and analysis functions for measuring voltage, current and temperature in real-time. Interested in renting IAQ Equipment? IAQ has specialists ready to answer your concerns.